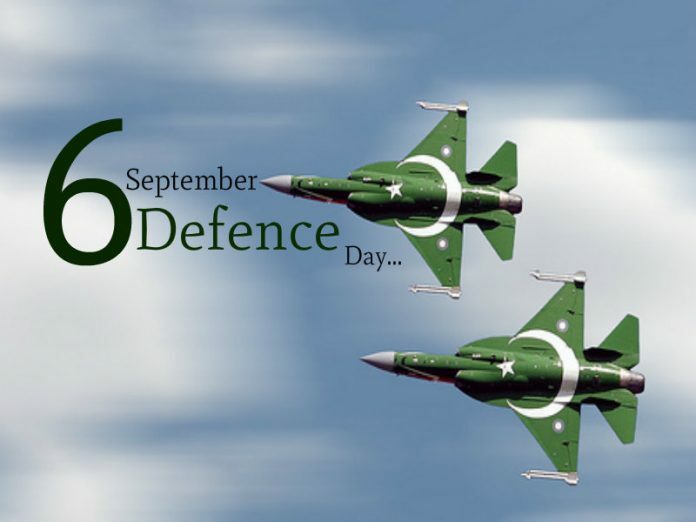 ISLAMABAD, Sep 5 (APP): The entire nation along with the armed forces of the country will celebrate the Defence Day on Tuesday with a solemnized pledge to continue to defend of the geographical, ideological boundaries and territorial integrity of the motherland. The day will dawn with gun salute, 31 in federal and 21 in the provincial capitals. Special prayers in all mosques, especially of those in defence formations will be held asking for well being and prosperity of the country. Fateha and Quran Khawani will also be held for those who laid their lives in the line to serve the nation, opting to embrace supreme sacrifice. Wreath laying ceremonies will be held at the mausoleums of the recipients of Nishane Haider (highest gallantry award) which will be attended by the senior officers of the respective areas across the country. Main function to highlight the significance of the day will be held at the lawns of General Headquarters (GHQ), where Chief of Army Staff (COAS) General Raheel Sharif will address the guests inclusive of next of kin of Shuhda besides Ghazis. People from all walks of life have also been invited at that function. Meanwhile, the national media, both print and electronic have chalked out comprehensive coverage plans of the events to be held in this connection besides publishing special supplements by the print while the electronic will telecast and broadcast special programmes signifying the importance of the day. The supplements in print media and programmes by the electronic media, depicting the supreme sacrifices rendered by the national heros providing ample opportunity to the youth and school children to get themselves abreast about the heroic role they had played to make the country’s defence impregnable. The media would also carry the messages of the President, the Prime Minister and members of the cabinet in relation to the importance of the day. Special talk shows have also been planned by the state run and privately owned television and radio channels across the country. Pakistan Army, Navy and Air Force had inflicted deep wounds in shape of Halwara, Dwarka, Kasoor and Chamb Joriya incidents and the adversary never would refer to the history of these incidents which literally made her to lick wounds.